This article describes how human resource management is a field encompassing the interactions between people working within an organization. This area incorporates the process of acquiring, training, appraising, and compensating employees as well as attending to their labor relations, health and safety, and fairness concerns. In this article, the roles of human resource management and how they impact the overall business are discussed in three sections. The first section uses Eli Goldratt's The Goal as a template to discuss the functions of human resource. 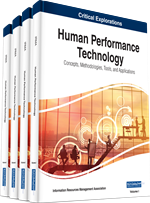 The second section discusses how technology impacts human resource management. Lastly, the third section discusses human resource management's ability to create continuous improvements and increase overall quality.